Värmehandtag som inte bara värmer händerna, dom dämpar även vibrationer för en bekvämare färd. 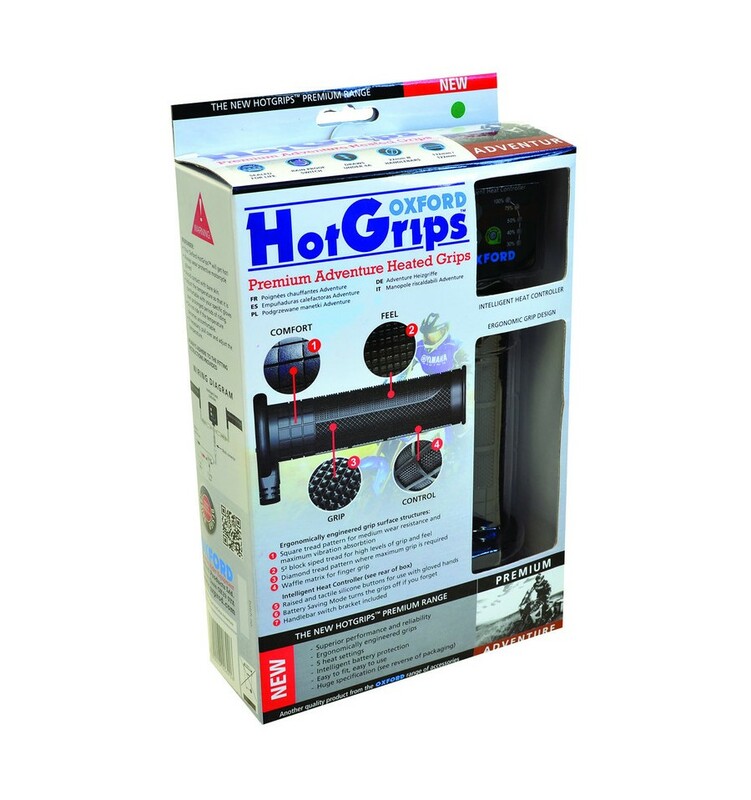 Oxford Premium Adventure Grips have been designed to give great levels of grip, feel and feedback. Perfect for today's Adventure Rider. Waffle matrix for finger grip. New switch technology means that, if the engine is switched off, the grips will automatically turn off until enough power is available. This eliminates the need for the user to buy and fit relays. 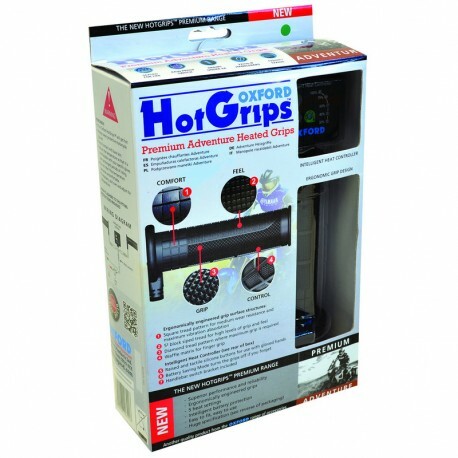 Thanks to their unique expandable design and fool-proof wiring loom, HotGrips are extremely easy to fit. Connection to the motorcycle could not be simpler:Connect the 2 ring connectors to the battery.